NASA and the German Center for Air and Space Flight today successfully launched the Gravity Recovery and Climate Experiment, or "Grace," mission into Earth orbit at 1:21:27 a.m. Pacific time from Russia's Plesetsk Cosmodrome. 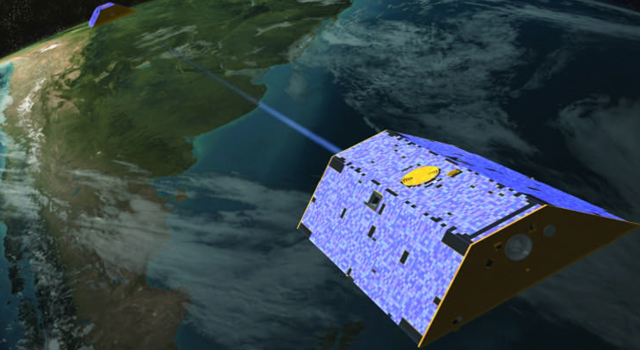 The mission, comprised of identical twin satellites, will precisely measure Earth's shifting water masses and map their effects on Earth's gravity field. The five-year Grace mission-the first launch of NASA's Earth System Science Pathfinder program-will be a scientific boon to researchers who study Earth with space-based instruments. The monthly gravity maps generated by Grace will be up to 1,000 times more accurate than those currently in use, substantially improving the accuracy of many techniques used by oceanographers, hydrologists, glaciologists, geologists and other scientists to study phenomena that influence climate. These phenomena range from shallow and deep ocean currents, water movement on and beneath Earth's surface, and the movement and changing mass of ice sheets, to sea-level heights, sea-level rise and changes in the structure of the solid Earth. Under partly cloudy, cold skies, the Grace twins lifted off on a Russian Rockot launch vehicle. Riding over 1,500,000 newtons (approximately 350,000 pounds) of thrust, the rocket headed northward over the Arctic Ocean and Alaska, then south across the Pacific Ocean and Antarctica before heading north again over Africa and Europe. At 85 minutes, 38 seconds into the mission-or 2:47 a.m. Pacific time-the satellites separated from the launch vehicle's third stage above Africa into a polar orbit 500 kilometers (311 miles) above Earth. Ground controllers successfully acquired the spacecraft's signal from the German Space Operations Center's ground tracking station in Weilheim, Germany at 2:49 a.m. Pacific time. Initial telemetry reports received by the Grace team show both satellites to be in excellent health. Following separation, the leading Grace satellite began pulling away from the trailing satellite at a relative speed of about 0.5 meters (1.6 feet) per second. Over the course of the next four days, the satellites will be spaced 220 kilometers (137 miles) apart- a little more than the distance between Los Angeles and San Diego. As they race around the globe 16 times a day, the satellites will sense minute variations in Earth's surface mass below and corresponding variations in Earth's gravitational pull. Regions of slightly stronger gravity will affect the lead satellite first, pulling it slightly away from the trailing satellite. By measuring the constantly changing distance between the two satellites using an extremely sensitive microwave ranging system and combining that data with precise positioning measurements from Global Positioning System instruments, scientists will be able to construct a precise Earth gravity map. During the next two and a half weeks, basic satellite operations will be established. During a subsequent three-week commissioning phase, Grace's science instruments and supporting systems will be powered up, evaluated and calibrated. The performance of the Grace system for measuring Earth gravity will then be validated over the following six months. 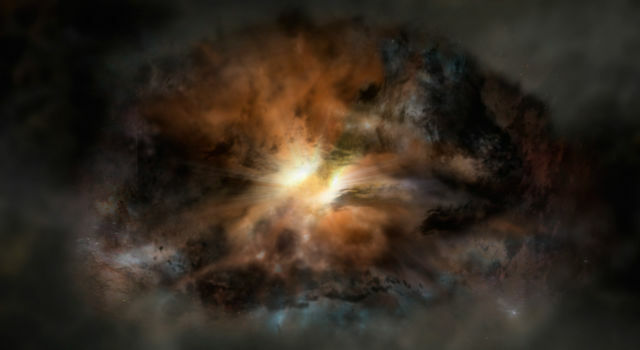 The mission then enters its observational phase, during which routine operational data products will be made available to scientists. Grace is a joint partnership between NASA and the German Center for Air and Space Flight (Deutsches Zentrum fur Luft und Rumfahrt, or DLR). NASA's Jet Propulsion Laboratory, Pasadena, Calif., manages the U.S. portion of the project for NASA's Office of Earth Science, Washington. Science data processing, distribution, archiving and product verification are managed under a cooperative arrangement between JPL and the University of Texas' Austin-based Center for Space Research in the United States and Germany's Earth Research Center (or GeoForschungsZentrum).